(Natural News) Women are more likely to gain weight or become obese after menopause. This is because of their lack of estrogen, which can cause lipid metabolic abnormalities, or abnormalities in the metabolism of body fat. Fortunately, a study published in the Journal of Natural Medicines has found that motherwort (Leonurus sibiricus) can help menopausal women manage their weight and prevent weight gain. Motherwort is a popular functional food and medicinal herb, and has been known to be beneficial for women, especially those who are older. 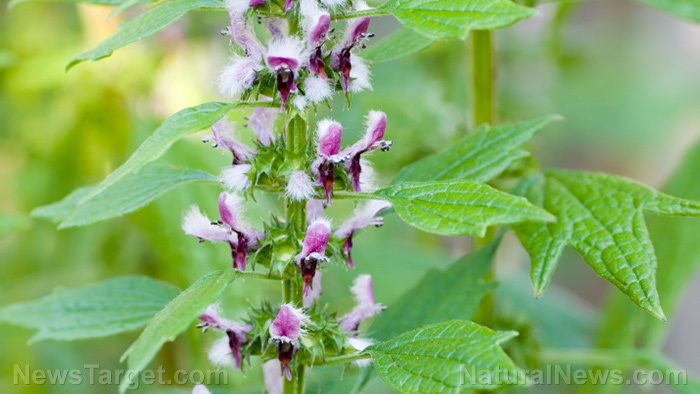 In the study, the researchers from Kyung Hee University in Seoul, South Korea aimed to determine the inhibitory effects of motherwort on post-menopause obesity in mice. To induce obesity, the researchers fed female ovariectomized mice with a high-fat diet for 12 weeks. After that, they orally gave the mice motherwort extracts for six weeks. Then, the researchers measured the mice’s body, uterine, and visceral fat weights as well as levels of glucose, triglyceride, total cholesterol, and low-density lipoprotein (LDL) cholesterol. Based on the results, the administration of motherwort extract greatly reduced the total body weight, visceral fat weight, and the fat infiltration of the mice’s livers. Moreover, it reduced levels of triglyceride, total cholesterol, and LDL cholesterol. It also increased the expression of hormone-sensitive lipase and adipose triglyceride lipase. This indicates that motherwort could regulate lipid metabolism by increasing lipase expression. Based on the findings of the study, the researchers suggest that motherwort could potentially help prevent weight gain after menopause. Get moving: Doing aerobic exercises can help you shed some extra weight and keep it off. Strength training exercise can also help because as you gain muscle, your body burns calories more efficiently. This, in turn, makes it easier for you to control your weight. You can start by brisk walking for at least 150 minutes each week or jogging for at least 75 minutes a week. Be mindful of your sugar intake: Avoid drinking beverages with added sugars, such as soft drinks, juices, energy drinks, flavored waters, and sweetened coffee and tea, and other foods like cookies, pies, cakes, doughnuts, ice cream, and candy. These foods and drinks contribute to excess sugar and calorie intake. Limit your alcohol intake: Alcoholic beverages add extra calories to your diet and contribute to weight gain. Get support: Be surrounded by people who support your efforts to eat healthily and increase your physical activity. For weight management or weight loss to be successful, you may have to make permanent changes to your diet and exercise habits and commit to them. Read more news stories and studies on natural ways to enhance menopausal women’s health by going to WomensHealth.news. Previous :Can acupuncture be used to treat osteoporosis?